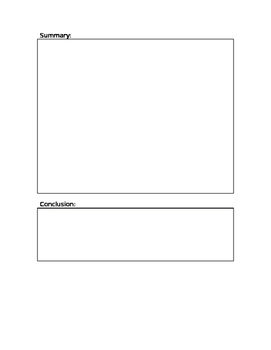 This template was created to be used by students to develop and present an oral presentation about a cultural story or poem that they chose to research as part of their Language Arts unit. 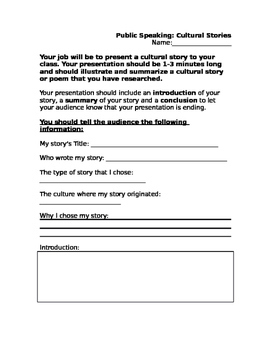 Students simply chose one of many suggested or well-known cultural stories and used this template and their research to complete oral presentations to their class. It is suggested that a rubric be used to evaluate students' work.